I have been enjoying the roasted tomato jam that I made earlier in the month; and I thought it would pair well with extra sharp cheddar cheese. So, I purchased a loaf of crusty ciabatta bread and got out the cheese, olive oil and tomato jam. Then I preheated the Panini press. Meanwhile, I assembled the sandwich. Rub olive oil on two slices of good bread. Cover the entire piece of bread with thick slices of cheddar cheese. 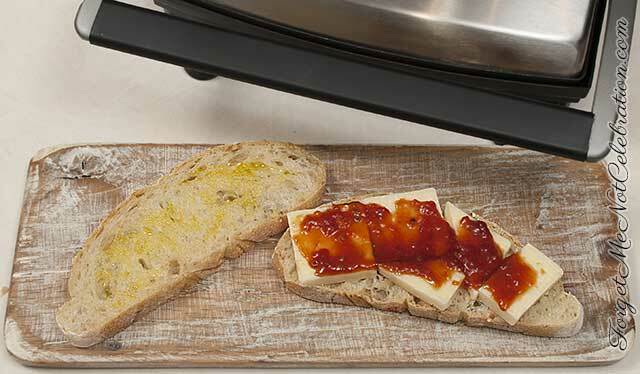 Top the cheese with tomato jam. Top with the other piece of bread. Then open the Panini press. When I did, I realized that I preheated the waffle iron. My husband said, “Try it anyway.” So an error turned into a fun twist on a toasted cheese sandwich. Children will love sandwiches made this way. I still wanted to get out the Panini press for the traditionalist side of me. The waffle grilled cheese with tomato jam is worth making. Rub olive oil on two slices of good bread. Cover the entire piece of bread with thick slices of cheddar cheese. 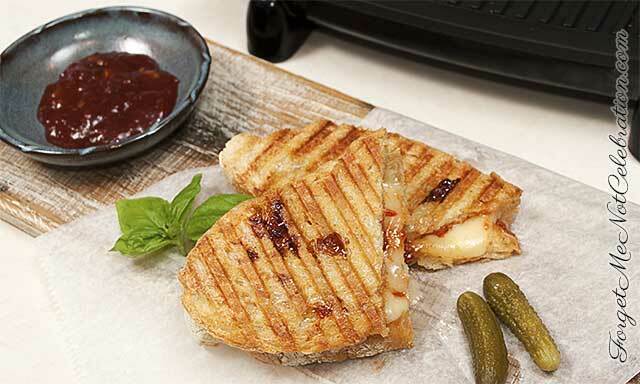 Top the cheese with tomato jam. Top with the other piece of bread. 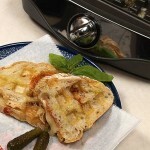 Grill in a waffle maker or Panini press. 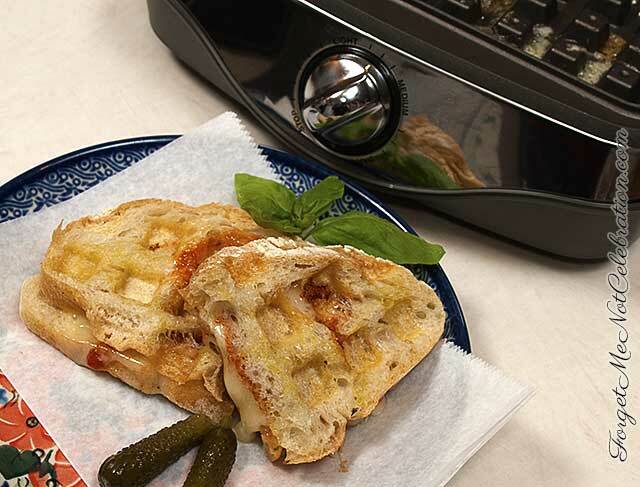 You don’t need a Panini maker for great Panini’s. The waffle maker worked just fine!